Plan a supreme golf getaway in South Africa, combining the best play with a premium Big Five safari in the Waterberg, or a nature holiday on KwaZulu-Natal’s Dolphin Coast, or a stay in the beautiful Cape Winelands. We have some superb golf getaway blends for you! 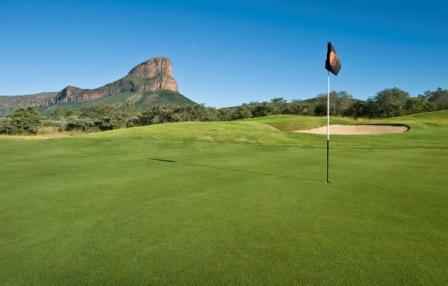 Legend Golf & Safari Resort is a one-of-its-kind dream-getaway for golfers who are also lovers of the wilderness. This outstanding golfing resort is situated in Limpopo’s scenic Waterberg, two and a half hours by road or 35 minutes by air from Johannesburg. Play on an awesomely unique golf course that has been created in the shape of Africa, each hole designed by a world golfing champ. The Extreme 19th is the cherry on the top, quite literally, because it’s accessible only by helicopter. In addition to unrivalled golf, kick back to a bumper safari in the Entabeni Safari Conservancy. 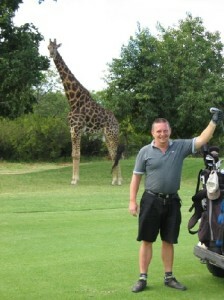 It’s a terrific golf and safari experience, all rolled into one. There is also a Golf Academy and Family Golf Centre, and a Pro Shop, on site. And if there are any non-golfers travelling in your party, there will be plenty to keep them happily occupied. Book a small, exclusive-use pad of your own – it’s another way to have a great golfing getaway. Leriba Golf Lodge at Phalaborwa is a sole-use, self-catering getaway set on the Hans Merensky Golf Estate, and bounded in the east by the Kruger National Park. The lodge offers five en-suite bedrooms, an equipped kitchen, lounge and swimming pool, with a restaurant available at the nearby Hans Merensky Hotel. Play on a course where wildlife bring added magic to the experience. If you’re wanting to get away for a stint in the Mpumalanga countryside with golf on the doorstep, a good bet is Oliver’s Restaurant & Lodge. Set on a large White River country estate surrounded by verdant forests, Oliver’s overlooks a golf course. Play to your heart’s content, and when you’re not on the fairways, you’ll be enjoying award-winning continental food, oodles of warm hospitality, and the offerings of a wellness clinic. 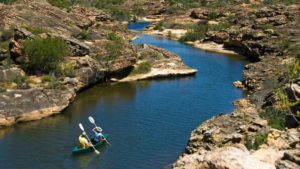 Do a day trip into the Kruger National Park and see the sights of the Panorama Route. 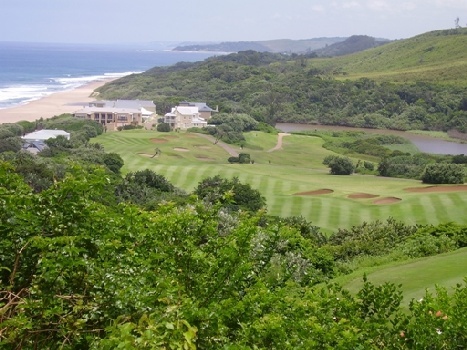 On the north coast of KwaZulu-Natal – the splendid Dolphin Coast – Leriba Coastal Golf Lodge is situated on the championship Prince’s Grant Golf Estate, about 45 minutes north of Durban and 25km from Ballito. This self-catering lodge has 6 stylish bedrooms, an equipped kitchen and two lounges, and is the perfect getaway for golf and sport enthusiasts. The golfing estate houses Bunkers Restaurant and Mulligans Pub and offers tennis, squash and a recreation centre. KwaZulu-Natal’s north coast provides a feast of nature sights and activities, so be sure to explore the area. 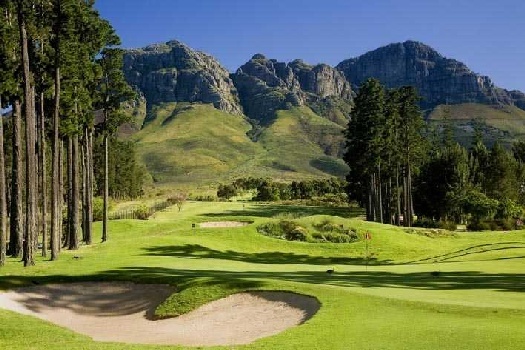 If golf and wine is your preferred blend, choose a Cape Winelands getaway with golf and wine on tap. Stay at Kleine Zalze Lodge which is part of the De Zalze Winelands and Golf Estate, situated just 3 km outside Stellenbosch. 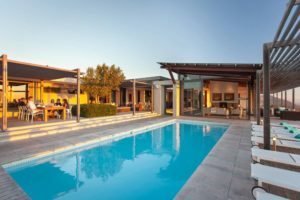 Surrounded by green fairways and lush vineyards, it offers a leisurely lifestyle combining four-star accommodation and hospitality, scenic golf and outstanding winemaking. Enjoy biking trails, vineyard walks and wine tastings on the estate. 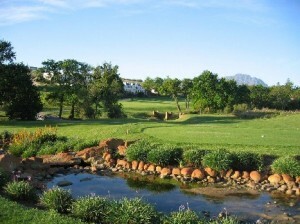 Another great Winelands golf getaway is Erinvale Estate Hotel & Spa, neighbouring the magnificent Erinvale Golf Course. It is an appealing destination for golfers who also want to explore the Helderberg winelands. 57 rooms are set in pretty gardens along cobbled walkways. Hotel facilities include Seventeen07 Restaurant, an Irish-styled pub and a spa. Mail us for bookings and information, or call +27 21 797-7122 (international) or 0860 102 907 (local).